"Mean Time" is a terrible joke I will not stoop to making in the title of this post. We took the ferry down under Tower Bridge, through the Docklands and over to Greenwich. Somehow, despite being from the country that invented the ozone hole and only being out in the sun for about twenty minutes, and the sun only actually being shining for about fifteen of those, I still managed to get sunburnt on one side of my face. Greenwich is nice. Actually, it's more than nice. It's beautiful. 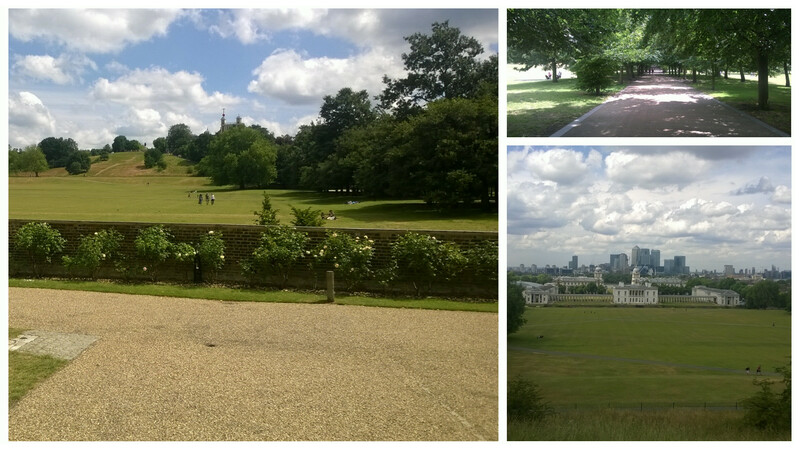 It helped that we visited on a good day, but Greenwich looked like everything England in summer is supposed to. It was all green grass and blue skies and rolling hills - well, one rolling hill - with a big old museum in the middle of it and pasty Brits out lying in the sun. I think we're a little spoiled as Australians. When it's a nice day in England, like yesterday, absolutely everyone sees it as some kind of civic duty to get out and enjoy it as much as possible before it's cruelly snatched from them once more. The Prime meridian was cool, but I can't help feel like people didn't get it. 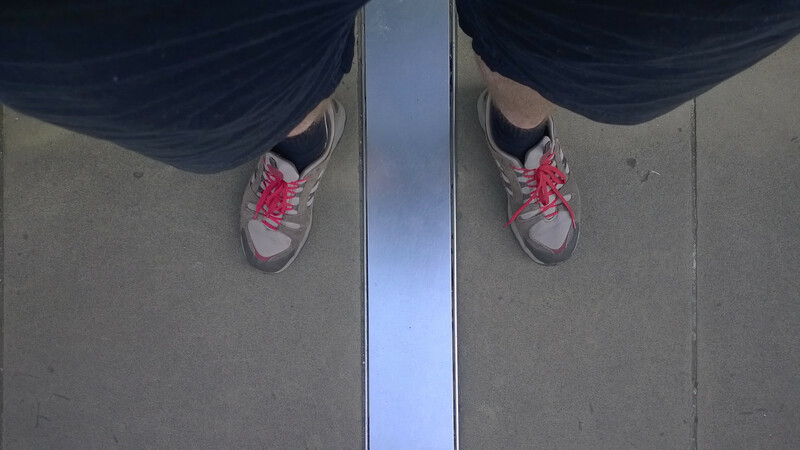 The cool thing about the meridian is not that you can stand on it and have one foot east and one foot west, not that I didn't partake of that particular tradition, but as a reminder of how delightfully arbitrary the entire system of measurement is. There's literally nothing significant about the point except that it happened to be on a hill outside of a major city because that's a good place for an educated bunch of people go set up the appropriate astronomical observing gear. For a really long time the French insisted on using their own meridian line, and that worked just fine. The observatory was actually pretty cool on its own. The biggest geek out moment for me was that they have William Herschel's telescope on display, which was the telescope that discovered Uranus. That was pretty cool. Anyway, we walked back down the hill and got ice cream, and then- actually wait, I gotta tell you about this ice cream place. 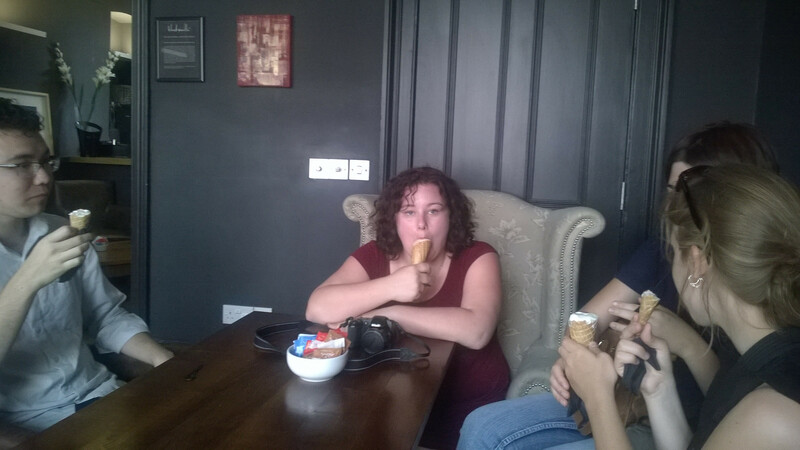 Bing Maps ™ recommended a what looked like an ordinary shop, but inside there was some pretty incredible ice cream. That's not the weird and wonderful part though. The weird and wonderful part was when we went upstairs, and found that upstairs was this utterly ridiculous lounge, complete with chandeliers, leather armchairs, and BBC classical music. Naturally, we spent the entire time giggling. We got back via the DLR, which is a not-underground version of the underground which goes back and forth to sort of the south part of London. As much as I like the underground for being crazy convenient I'm getting a bit bored with not being able to see much of London as we travel through it. The underground doesn't make a lot of geographical sense, and neither do its stations, and it's sort of hampering my ability to get a sense of London, the city, as opposed to London, the topology of the transit network. The DLR is practically a scenic chairlift by comparison. I think you can even get an audio guide for it. Grace and Jess had tickets to a production of Les Miserables at the West End, and Brittany was off doing whatever it is that Brittany does, so Morgan, Ben and I set off to have a so-called "dudes night". The plan was to find the best burgers we possibly could and then go to an English pub for a drink. This didn't actually end up happening. What actually ended up happening is that we found an incredible burger joint, realised they had an hour and a half wait for tables, went off in search of a second burger joint, which wasn't there, went into the slightly seedy looking bar that was there instead, bought burgers anyway, and the burgers turned out to be pretty crap and also absurdly expensive. I was filled with this weird sense of relief when they were awful, because at least this way we got a story out of it. I think the lesson I learned from that, apart from the fact that sometimes a good story is worth it, is that while often the "screw it, let's just go here" attitude is awesome and gets you a neat experience, sometimes it's worth sticking it out for the thing you planned. We've been out until 8 or 9 most nights, but at that point it's usually still light, because of this country's ridiculous latitude. This time we were out until probably 11, and everything was properly dark and and lit up. Cities look different at night. Their character changes, especially on a Friday, and for me it feels much more exotic, like you're really somewhere different, than during the day. Possibly that's because I don't go out much at night at home, but I'm still glad that that's something I got to see. Even if it did cost me 11 pounds and a case of indigestion. Ah shizz! Should have gone to the Gourmet Burger Kitchen (http://www.gbk.co.uk). I always went to my local one in Ealing Broadway, but it looks like they've expanded quite a bit. Amazing burgers, decent price (for london). Anyway, their relishes were the bomb. Oh, cool! We might check it out tonight, we're going out to a show and, well, we gotta eat.